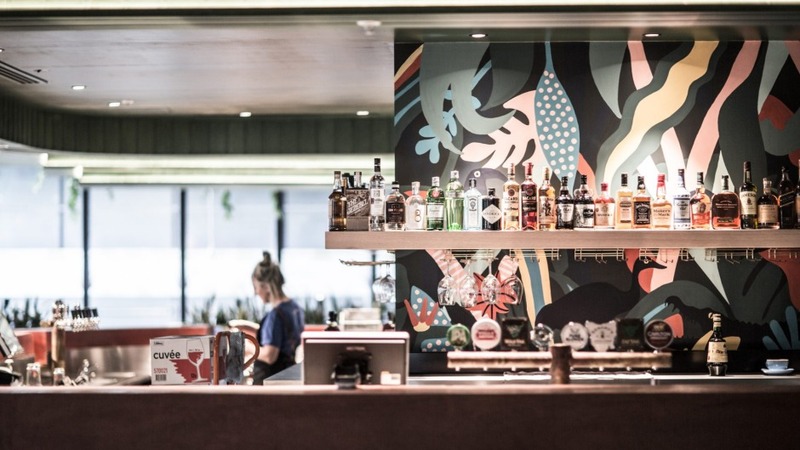 With space for 950, new watering hole Hightail hopes to lure all manner of Docklands animals to Collins Square. 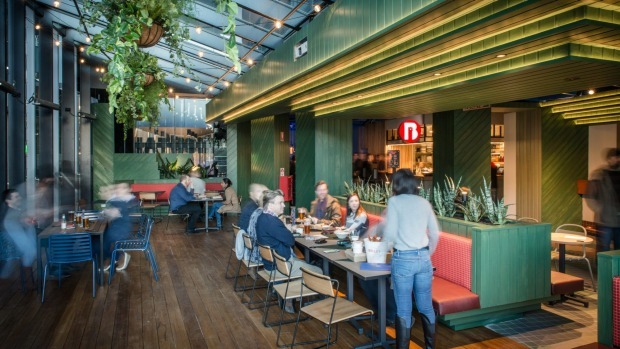 The food court project is under the imprimatur of 100 Burgers Group, the team behind Mr Burger, Belles Hot Chicken, Super Taco and Welcome to Thornbury. They hired architects Techne (Long Chim, Tonka, Lee Ho Fook) to design the massive space within Collins Square, a combined office and retail space that occupies a city block. Animal prints, leather, woodgrain and bark and a palette of greens, blues and browns evoke the natural world in the centre of the concrete jungle. "We conceived of the venue as an oasis," explains 100 Burgers Group co-founder Daragh Kan. "You can be sitting upstairs and working all day, and you can escape downstairs and it's this completely different space." In order to pacify 1000 punters at once, Hightail has 60 taps serving 16 beers, from Melbourne Bitter to a Goose Island IPA from the United States. 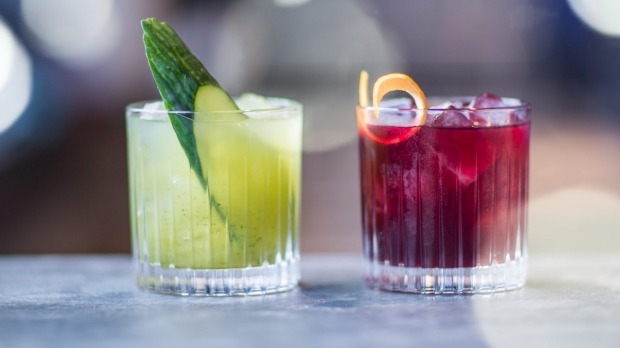 The wine list concentrates on decent by-the-glass choices such as Paringa pinot, Veuve Clicquot and Redbank Fiano from the King Valley and there's a short, sharp cocktail list featuring an Australian-only Negroni made with Four Pillars gin, Red Okar and Maidenii vermouth. Fully embracing the food court philosophy, Hightail's an amalgam of Mr Burger, Belle's and Super Taco. Dishes from all three venues are available, be it a double beef and cheese burger with a side of poutine, Southern-style chicken wings and coleslaw, or a crisp tempeh burrito with brown rice and chipotle. Diners needn't even need to get up to be fed and watered – drinks and dishes can be ordered via the 100 Orders app and delivered direct to their table. Open Mon–Fri 11am-12.30am, Sat noon-12.30am.